This cable is Monster Quad Shield RG6, "Best Cable from the Best Manufacturer," to protect against interference. 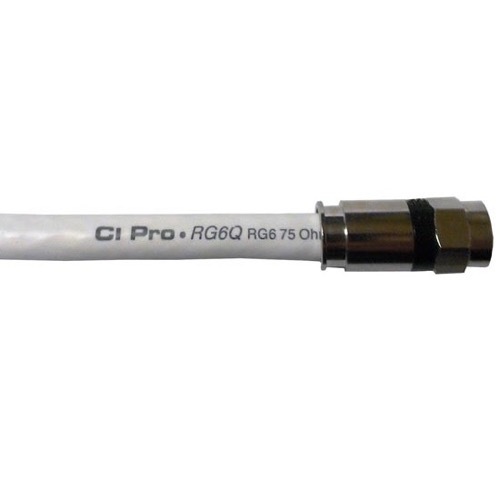 This coax cable is more flexible that regular RG6 coax. This coax is made with more, finely stranded, ultra flexible copper shielding. This is the best cable on the market for your digital and HDTV needs. It works great with digital cable TV, cable modems, satellite TV, and satellite modems. This is a single 12' jumper cable with heavy compression f type connectors. Cable color may vary.